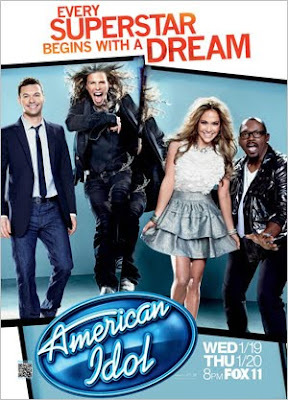 I did not watch American Idol season 9 but I tuned in for season 10 just to see how the new judge panel would work. What can I say? It truly is a new American Idol. It’s much more fun and less sarcastic. Oddly enough the meanest judge on the panel is Randy Jackson. Jenifer Lopez is incredibly professional, she’s the “serious” judge who’s looking for a star. Steven Tyler is a mix of Paula Abdul and Simon except nicer and crazier. He is not as dry as Simon, he’s crazier than Paula and he can be really really funny without being mean to the contestant. As far as entertainment goes the man is a genius which is why having Jeniffer Lopez at his side makes for a good balance. Randy is well Randy except during auditions he seemed to keep saying no on purpose just so Jenifer or Steven would feel pressured to put one of their fans through. Overall it’s been fun so far.